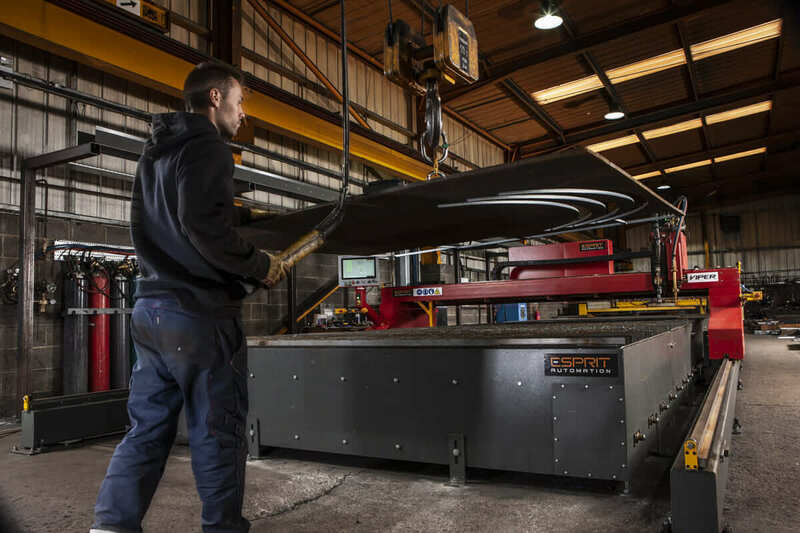 Esprit Viper machines are large CNC profile cutting machines for up to eight plasma or oxy-fuel flame cutting stations. Designed and manufactured as precision machine tools, Viper machines feature heavy duty floor mounted rails, hardened and ground linear bearings, powerful digital AC drive systems, precision gearboxes, and direct rack and pinion drives for excellent machine performance. It is the machine of choice for the most demanding applications working up to 24 hours / day. 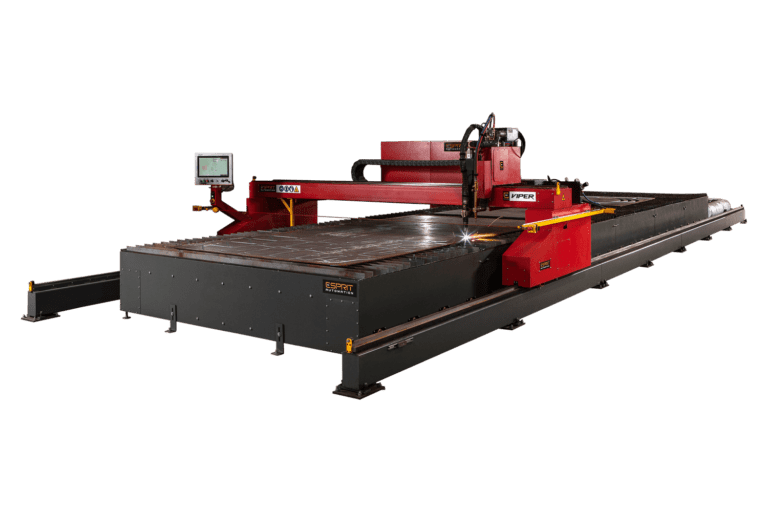 Cutting width on these flame & plasma profile cutting machines can be specified between 1.5 m and 6.5 m; cutting length is effectively unlimited. 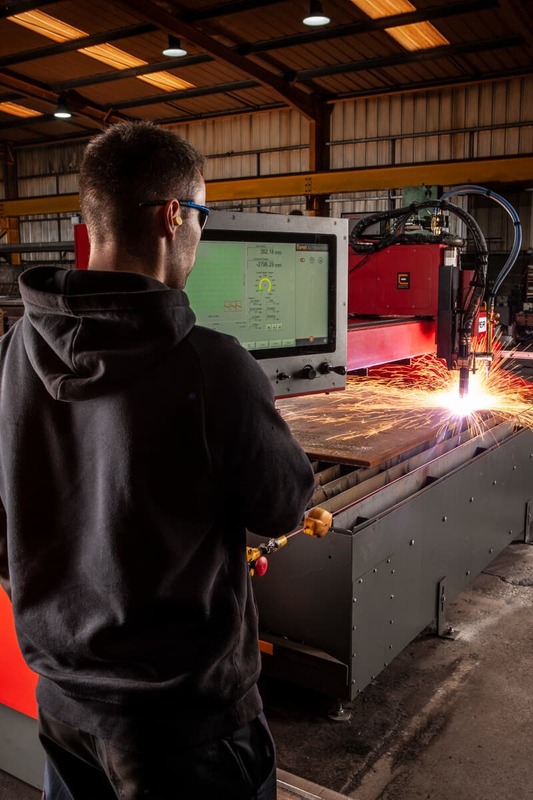 Viper machines can be fitted with Hypertherm XPR, HPRXD or conventional plasma cutting systems up to 800 A, or oxy-fuel flame cutting torches for the thicker material ranges. Viper machines are heavy duty workhorses and can be specified for virtually any application. 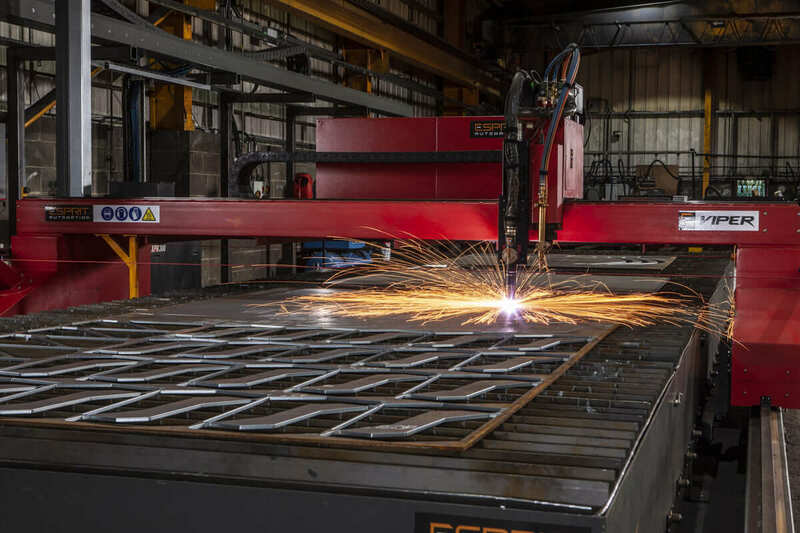 The Viper flame & plasma cutting tables are available in cutting widths from 1.5m to 6.5m and with virtually any cut length, and for multiple plasma or to a maximum of 8 flame cutting torches can be fitted for to enable the highest possible production capability. Viper profilers are constructed from precision fabricated & machined components and are fitted with powerful digital AC brushless drives, machine tool grade linear bearings and direct drive rack and pinion transmissions for precision contouring performance. These CNC profile cutting machines are suitable for precision cutting in the most demanding of applications. Call us today to learn more about our Viper profilers, or to make an appointment to come & visit us in Nottingham for to see the machine in action during a free demo. Whatever the size or weight of the plate, your Viper profile cutting machine is ready to work and make your most demanding parts with exceptional precision. Your best partner for extreme work environments. 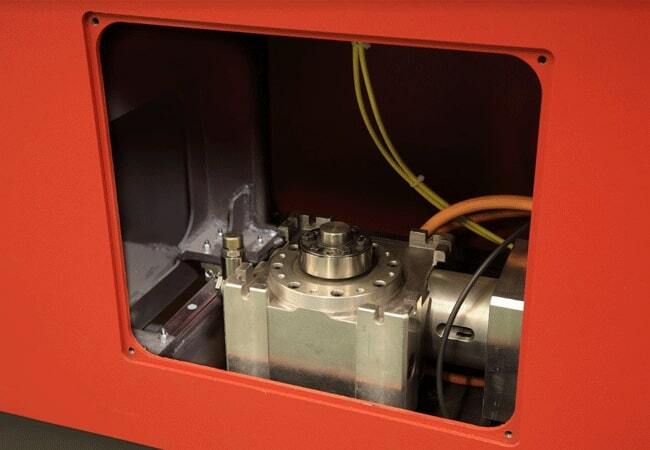 With an easy-to-use touch screen interface and powerful built-in capabilities, Hypertherm’s solid state EDGE Connect CNC offers advanced features for fast, easy cutting without the need for intensive operator training. Esprit’s Viper Profile Cutting Machine can work 24 hours a day, even for the most demanding applications, with ease and convenience. The Esprit Viper cutting machine can be equipped with different cutting systems depending on your application. XDefinition XPR, HyPerformance Plasma, Hypertherm LongLife Air & Oxygen Plasma, Powermax Air Plasma, or Flame systems can be fully integrated into the Viper CNC machine. The Viper can be equipped with XDefinition Plasma, which cuts fine feature parts with superior quality and consistency, virtually eliminating the cost of secondary operations. 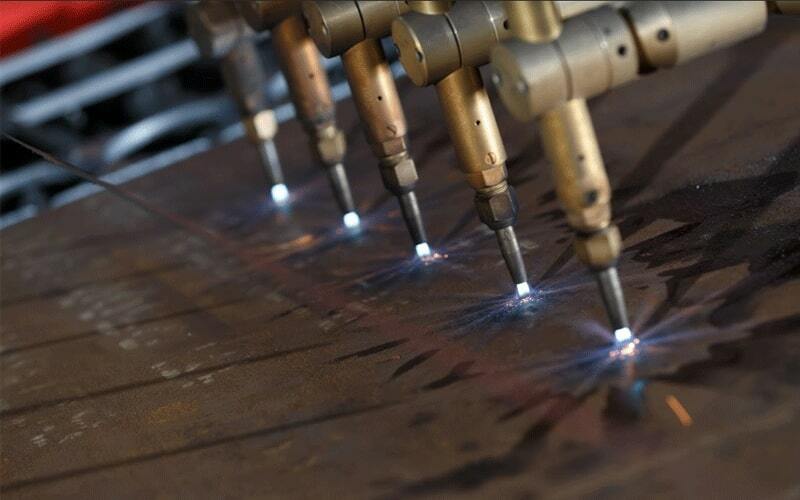 The HPR XD plasma cutting systems cover all applications. Cutting mild steel, stainless steel and aluminium from gauge to 50mm and beyond. Procut is an advanced nesting solution that has been designed by Esprit to incorporate all our know-how and experience in cutting. For more than 25 years, Procut has been continuously upgraded and used worldwide by sheet metal machining companies. Procut allows users to create and cut parts quickly, easily and reliably. Imagine being able to see, live and from anywhere in the world, what your profile cutting machine is doing. Thanks to the IRIS (Intelligent Real-Time Information System) monitoring system you will be able to control your operations more efficiently. Utilising Industry 4.0 technology, you will know exactly when to replace parts so your productivity remains uninterrupted and you can get the most out of your machine. “We decided to go for the Esprit Viper machine because we thought it was a better machine, stronger, more robust.